It’s not a full Lenten fast, but I’m going to keep this blog quiet for the next forty days. You can find me doing my usual Tuesday post at The Anxious Bench — this morning’s considered a surprisingly religious part of the country (no, not Utah or the South) — and I might do a bit of blogging for our department. I’ll share links to other writers on my Twitter and Facebook feeds. And on March 4th those of you in the Twin Cities can hear me preach at my home church: Salem Covenant in New Brighton. 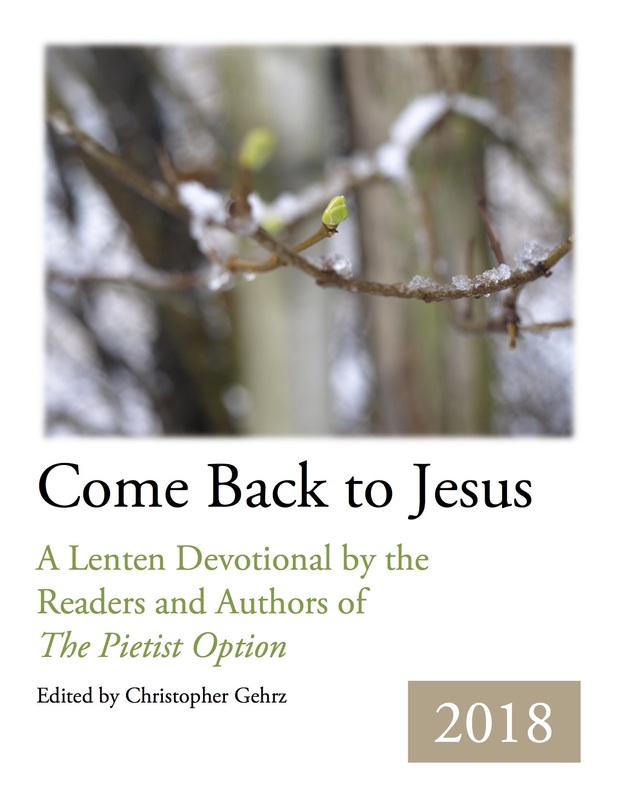 But I don’t plan to write anything for Pietist Schoolman until Easter, or maybe Holy Week. In the meantime, you’re invited to read and pray along with our Pietist Option Lenten devotional, starting tomorrow with Mark’s piece for Ash Wednesday. You can download it here, or follow Salem on Facebook: every morning they’ll post the day’s reflection. Grace to you all, and peace, as we all journey to the Cross.